I am passionate about innovation in higher education, and I have pioneered the use of challenge-based education. As Founding Director of the multi award-winning Social Impact Lab I lead the University’s international work on social entrepreneurship. This includes leading a team which delivers a range of activities for our students, including the Social Enterprise module, Spark India, the Social Impact Leaders Speaker Series, our Placements scheme, our in-house Ventures and mentoring start-up social entrepreneurs. As a result of my work in social entrepreneurship education, I have been made a Fellow of the Royal Society of Arts and was awarded the Mahatma Gandhi Pravasi Samann in 2015 for outstanding contributions to education. 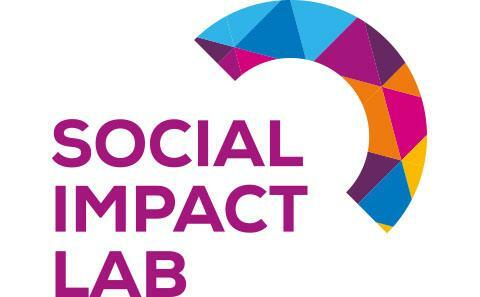 You can learn more about the Social Impact Lab, please visit our website, follow us on Facebook or sign up to our newsletter. You can follow me on Twitter @pathik10. Our mission is to develop effective models and nurture world class leadership for social impact. My current research is a cross-cultural exploration of social entrepreneurship and discourses of employability in global higher education. The research explores trends in the UK, North America, and India. I am interested in the motivations behind the growth of social entrepreneurship among young people (both through grassroots action and organised societies) and how universities are responding both within and outside the curriculum. The research seeks to illuminate transformations in the graduate labour market and skills futures. Pathak, P. (2015). How to future proof graduates. The Conversation, 1-3. Pathak, P. (2015). The borderless problem-solver. Education Times. Pathak, P. (2013). How to set up a social enterprise curriculum. The Guardian. Pathak, P. (2013). Is Russell Brand lost in revolutionary rabbit holes? Pioneer's Post. Pathak, P. (2013). Measuring social impact: lessons from India. The Guardian. Pathak, P. (2012). Confidence in social impact claims 'shockingly low'. The Guardian. Pathak, P. (2008). The future of multicultural Britain: confronting the progressive dilemma. Edinburgh, GB: Edinburgh University Press. Pathak, P. (2018). Beyond business as usual: The transformational potential of challenge-based education. In Social Impact Lab (pp. 1-60). University of Southampton. Pathak, P. (2014). Social entrepreneurship, governmentality & the Left. In S. Grant, & H. Douglas (Eds. ), Social Entrepreneurship and Enterprise: Concepts in Context Tilde University Press. Pathak, P. (2007). Centre for Contemporary Cultural Studies. In D. Dabydeen, J. Gilmore, & C. Jones (Eds. ), The Oxford Companion to Black British History (Oxford Companions). Oxford, GB: Oxford University Press. Pathak, P. (2007). Stuart Hall. In D. Dabydeen, J. Gilmore, & C. Jones (Eds. ), The Oxford Companion to Black British History Oxford, GB: Oxford University Press. Willis, R., Khambhaita, P., Pathak, P., & Evandrou, M. (2017). Ethnicity and satisfaction with social care in England: Measurement, determinants, and outcomes. Poster session presented at 21st IAGG World Congress of Gerontology and Geriatrics, San Francisco, United States. Willis, R., Pathak, P., Khambhaita, P., & Evandrou, M. (2015). Staff perspectives on the impact of cultural and language differences on social care work. Paper presented at British Society of Gerontology Annual Conference, United Kingdom. Willis, R., Khambhaita, P., Pathak, P., & Evandrou, M. (2014). Decisions to use social care services among South Asian groups. 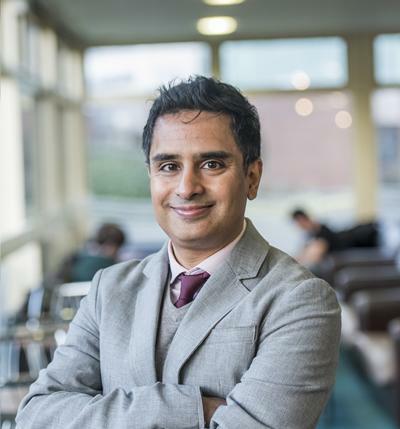 Paper presented at British Society of Gerontology Annual Conference, United Kingdom. Willis, R., Khambhaita, P., Pathak, P., & Evandrou, M. (2014). Differences in satisfaction with social care among South Asian and White British service users and carers. Paper presented at British Society of Gerontology Annual Conference, United Kingdom. Willis, R., Evandrou, M., Pathak, P., & Khambhaita, P. (2014). Reasons for ethnic group differences in satisfaction with social care. Paper presented at School for Social Care Research Annual Conference 2014, United Kingdom. Willis, R., Evandrou, M., Khambhaita, P., & Pathak, P. (2013). Cultures of help seeking - comparing the ways Asian and White British older people access social services. Paper presented at British Society of Gerontology 42nd Annual Conference, United Kingdom. Khambhaita, P., Willis, R., Evandrou, M., & Pathak, P. (2013). Limitations to ethnic matching in the recruitment of older Asian male participants. Paper presented at BSG Annual Conference 2013, United Kingdom. Willis, R., Evandrou, M., Khambhaita, P., & Pathak, P. (2013). Satisfaction with social care: comparing the views of South Asian and White service users in England. Poster session presented at Gerontological Society of America Annual Meeting, United States. Willis, R., Evandrou, M., Pathak, P., & Khambhaita, P. (2012). The ASC project: acceptability of and satisfaction with social care among South Asian groups. Poster session presented at British Society of Gerontology’s 41st Annual Conference, . Pathak, P. (2011). Headline financial exclusion data for Southampton. Poster session presented at Increasing Financial Confidence in Southampton, United Kingdom. Willis, R., Khambhaita, P., Evandrou, M., & Pathak, P. (2014). Satisfaction with social care services among South Asian and White British groups. London, GB: National Institute for Health Research, School for Social Care Research (NIHR SSCR). Khambhaita, P., Willis, R., Pathak, P., & Evandrou, M. (2017). Recruitment of South Asian research participants and the challenges of ethnic matching: age, gender and migration history. (Centre for Research on Aging Discussion Paper; No. 1701). University of Southampton. Willis, R., Khambhaita, P., Pathak, P., & Evandrou, M. (2014). Satisfaction with social care among South Asian and White British groups. (Centre for Research on Ageing Briefing Paper; No. 4). Southampton, GB: University of Southampton. Willis, R., Khambhaita, P., Pathak, P., & Evandrou, M. (2014). Satisfaction with social care services among South Asian and White British groups. Southampton, GB: Centre for Research on Ageing. McGhee, D. P., Pathak, P., & Freeman, J. (2012). Social Capital Project - research review. Southampton, GB: University of Southampton. I currently convene the Curriculum Innovation module Social Enterprise and the second year module Race & Ethnicity in Society. I would be keen to supervise doctoral researchers in any of the following areas: social entrepreneurship in development, social entrepreneurship and diversity, the sociology of higher education, graduate employability (with a geographical focus on Asia), the social construction of leadership, and qualitative approaches to social impact evaluation.